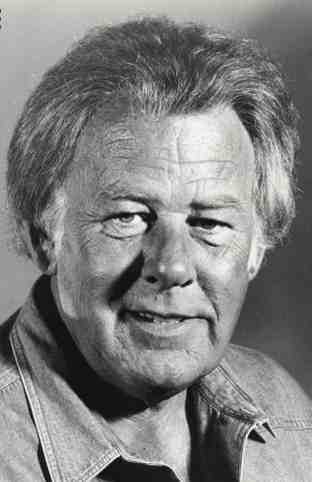 Bert Roberts: Class movie star. Here he is seen below in his starring role as General Phil Lloyd in the motion picture blockbuster, Dead Man's Walk. 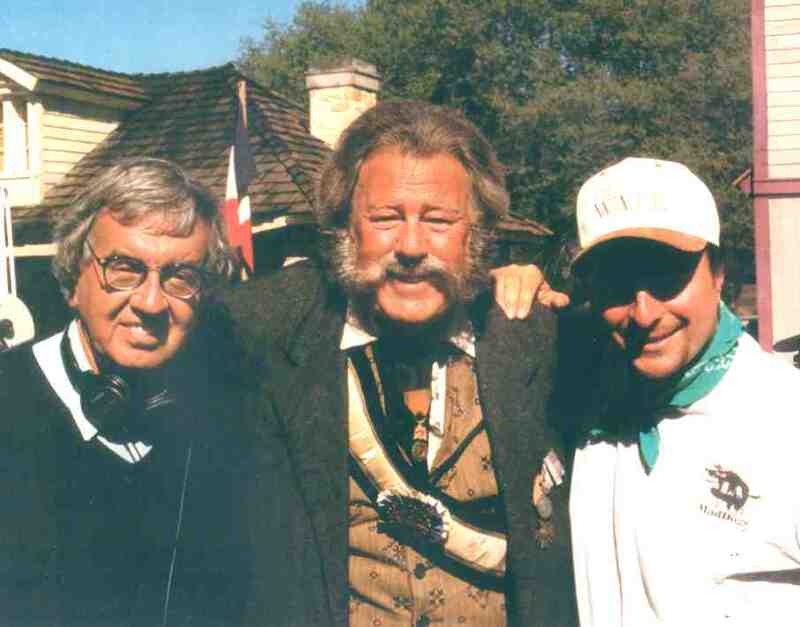 Also in the photo is the film's writer, Pulitizer Prize winning author Larry McMurtry (L) and Director Yves Simoneau (R). 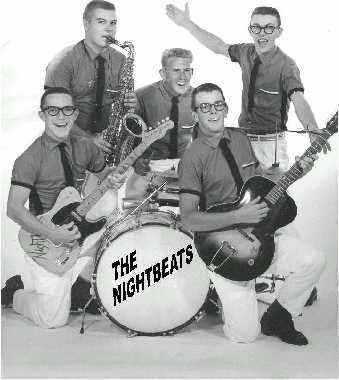 Of course, we all remember Bert as the drummer of the popular CHS rock and roll group, The Nightbeats. And, who could forget Bert's restaurant...a real jumpin' joint! We had a reunion event there in 1989.